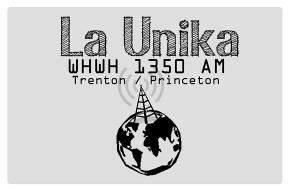 La Unika is the largest 24/7 Spanish programming Radio Station in New Jersey. We cover South Jersey and Philadelphia with WTTM 1680AM, and the Trenton / Princeton area with WHWH 1350 AM. La Unika provides a much needed Spanish content radio for the state of New Jersey. We have a variety of shows that keep our Latin community informed and entertained all week long.